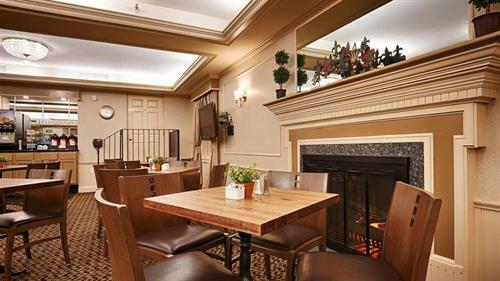 The Best Western Heritage Inn offers 90 rooms conveniently located right off I-5, with easy access to the best of what Bellingham, Washington has to offer, and only 45 minutes from the Canadian border. 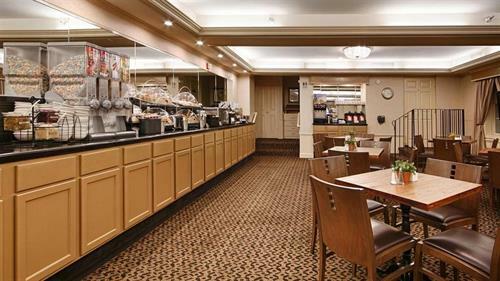 The Bellis Fair Mall and multiple dining options are all within walking distance. Visit Bellingham Bay, vibrant downtown Bellingham, the historic Fairhaven district, Western Washington University and more. Guests will enjoy a complimentary hot breakfast as well as unexpected delights like a resort-quality bed experience with luxurious linens, bath towels and amenities, all in a lodge-like setting along Baker Creek. A seasonal outdoor pool and year-round hot tub will delight those in search of a little R&R. Located just off I-5 at exit 256A and right across the street from the Bellis Fair Mall.